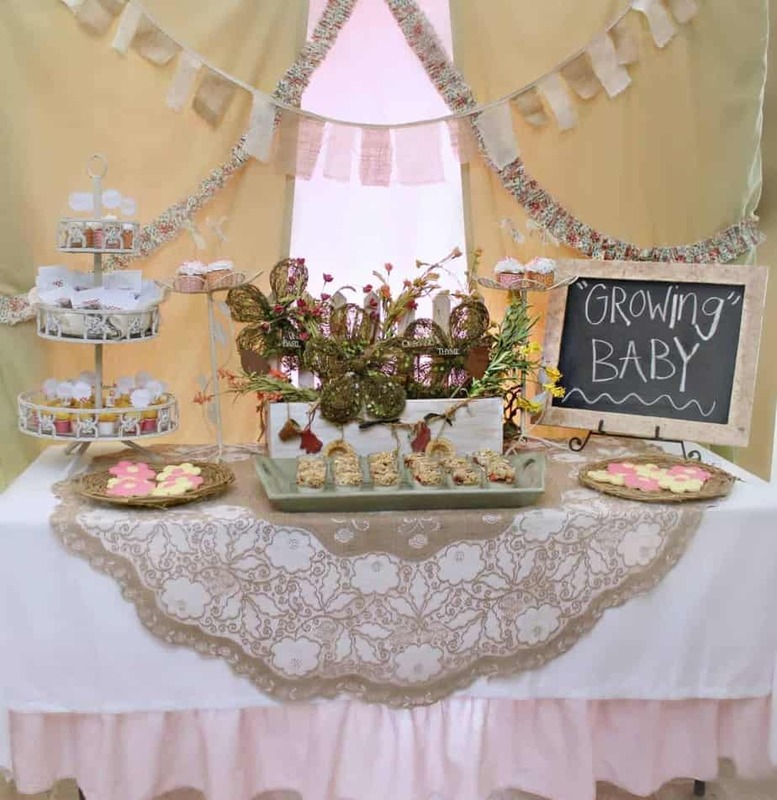 Trends: Popular Themes for Baby Showers . 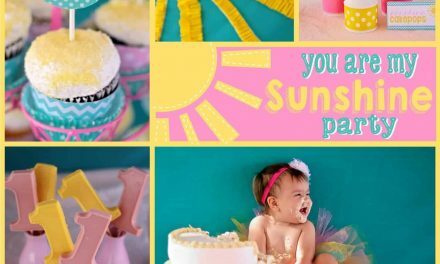 Today I’m sharing some popular party themes for Baby Showers. 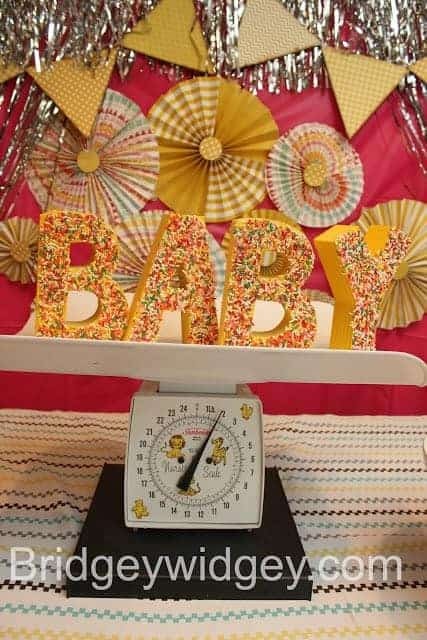 Be sure to check out all out Baby Shower Ideas and Inspiration. She’s about to POP! This fun balloon themed shower was thrown for a sweet friend of mine last year. It’s a great way to emphasize that growing belly!! Have a cute little man on his way, but not really feeling the mustache themes that are oh so popular? How about a Bowties and Ties baby shower? 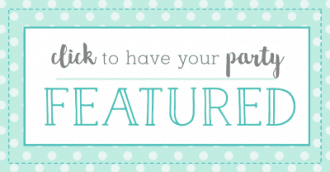 It is a great theme for your cute little dapper man! 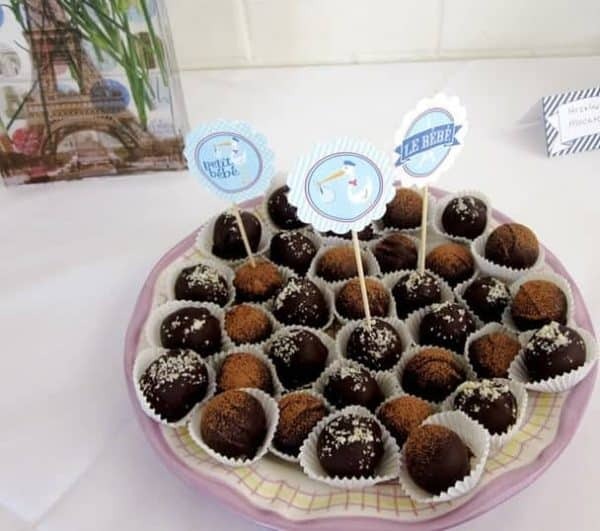 A baby shower, oh what fun! Love the classics? 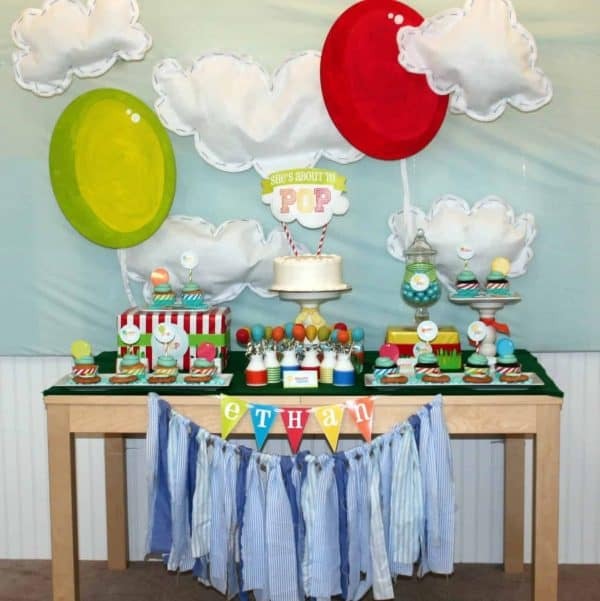 How about a Dr. Suess themed baby shower?? This is especially great for twins! Baby 1 and Baby 2, maybe? What better way to say welcome to the world little baby than with adorable little forest animals? This is great for the outdoorsy mom or just any momma who likes cute furry things. Feeling like a little French food? Need an excuse for delicious macarons? Here is a fun French Stork themed shower. I love the blues and reds!! Merci Beaucoup! Let’s Rock! 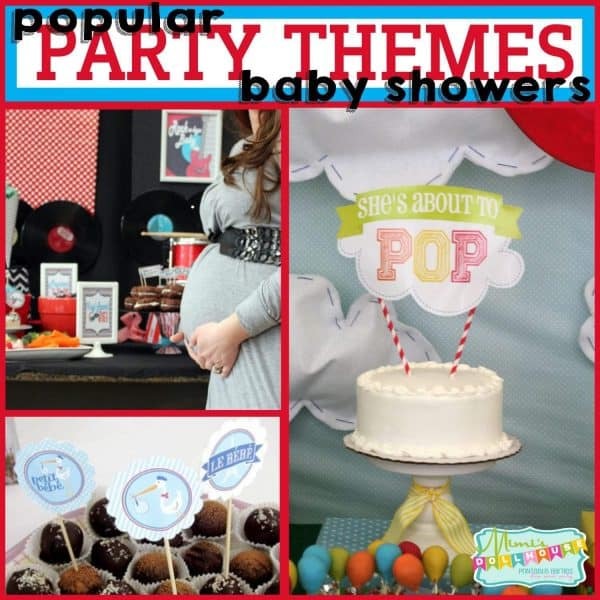 This theme is great for hip parents-to-be that love to have a good time! The bold colors and fun and its such an easy theme to get carried away with! Love it. Another bonus to this theme is all the awesome sauce themed food ideas! Rock it!! Here is an AH-MAZ-ING Rock-n-Roll themed shower to check out! Pretty, pink and oh so fun? Sugar and spice and everything nice? Little girls are so fun and there is nothing sweeter than a little baby shower of pinks and girly goodness. Today I’m sharing some of our most popular themes for baby showers: girly style. So if you love lace and glitter and pretty, pretty pink…you’ll love these themes! I designed this theme with a trendy modern momma in mind and it is perfect for your lovely glam girl’s baby bump! Fun coral and soft pink mixed with black and gold. This party really says, simple, yet glam is beautiful. Wanna see all the photos of this fun theme? Feeling a little nautical? A sweet girly whale theme is just the thing. 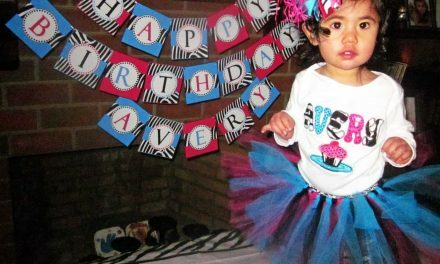 This is a playful theme with playful colors and is a great way to say Ahoy to the new little sweetheart!! Gardens are romantic and lovely and a wonderful place to celebrate that growing belly! This is a wonderful theme for the outdoorsy or earthy momma as well. I love the play on words with the “growing” too. So fun! Love mason jars, burlap and lace? This is just fun, simple, old fashioned theme. Perfect rustic charm. I love me some pink elephants….and so do you guys too, since this theme is hot, hot, hot!! 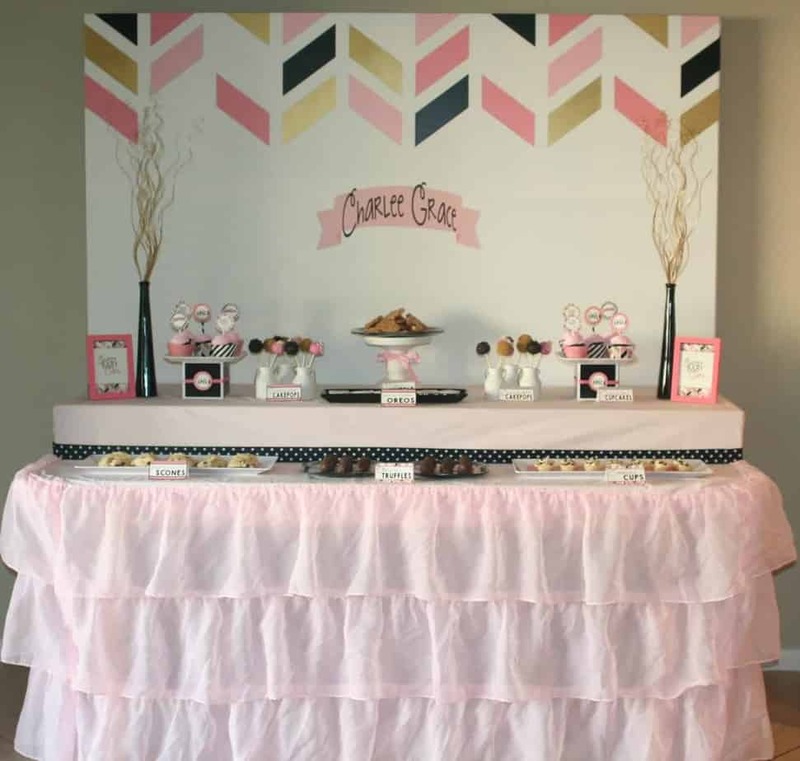 How about a DIY cupcake bar? 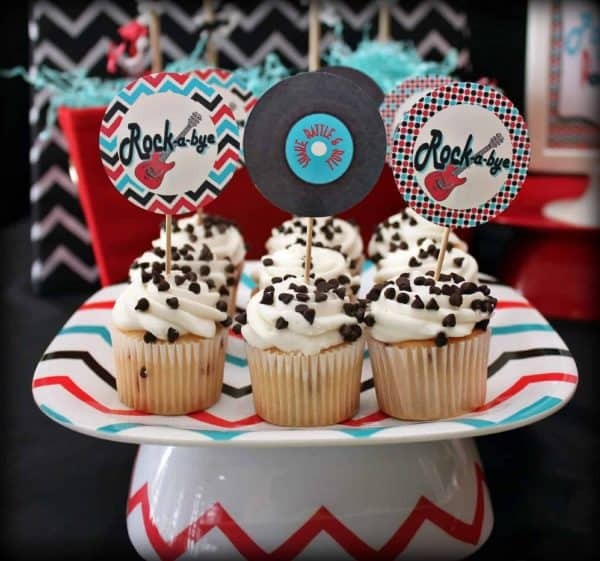 What a super cute baby “sprinkle” idea, right! Love it!! The use of real sprinkles makes it that much better!!! Gorgeousness! Check out our shop for more baby shower printables. 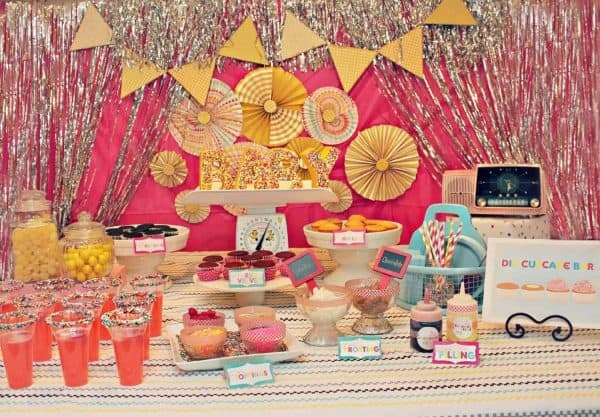 Also be sure to check out our Party Themes for Girls and Party themes for Boys. These are so fun! I’m loving the rockabye theme, I’ve never seen that one before! Cute!! So many great ideas! I love the rock theme. Beautiful pictures! 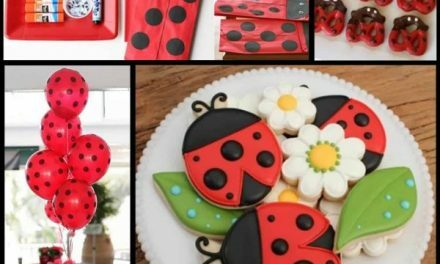 These are some of the cutest themes I have ever seen! 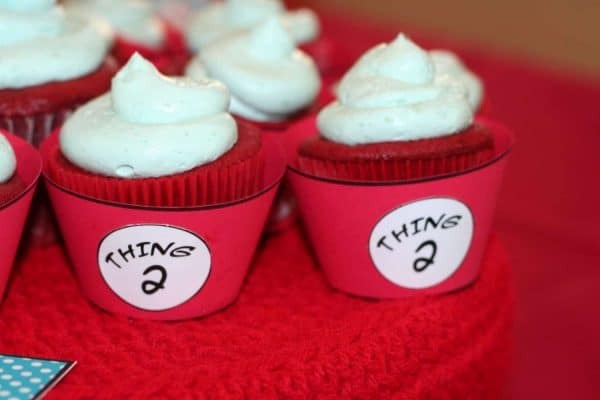 I really love the thing 1 and thing 2 cupcake holders! So adorable! Such great themes. I think the balloon theme is so cute! This is such a cute theme. Very unique and gender neutral too. Thank you for sharing your ideas! So fun! I once hosted a baby shower and the theme was, “How does your garden GROW”? It was a hit! I love these ideas too! I’ve done a few baby shower parties in my time too! I love the themes you present here. They’re all new to me. Really brilliant ideas, thanks. Those are great! And right on time, I’ll be preparing a baby shower for my friend soon. Thanks! The balloon theme is too cute! These are all such cute themes. Being a fan of Dr. Seuss, I think that sounds like fun! These are amazing! The Dr. Seuss theme is adorable! Wow. I’ve never seen these. 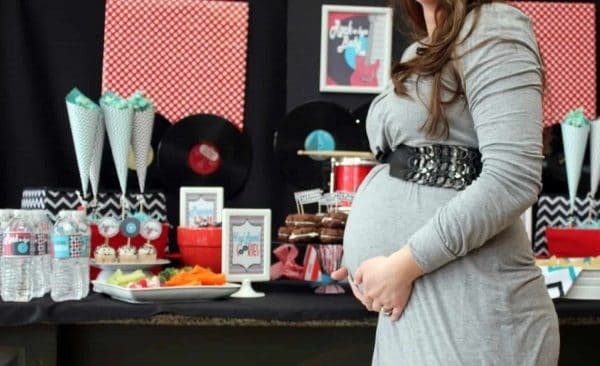 Such great ideas, especially the “she’s about to pop” I love that one!! 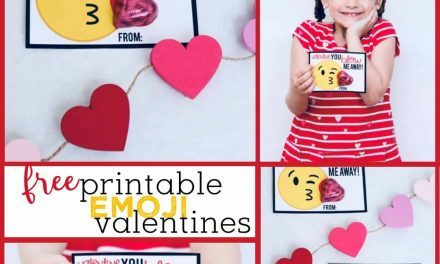 These are such cute and unique ideas! I never would have thought of these themes! 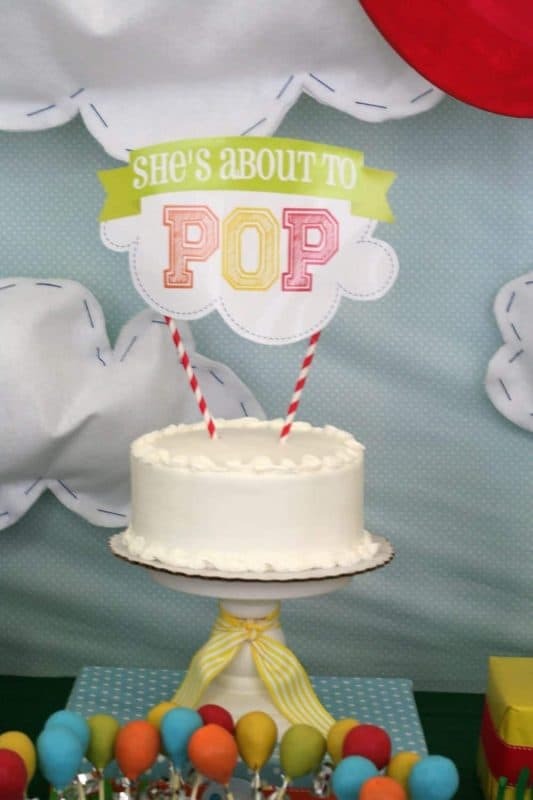 Baby showers are adorable. They are not common in Spain but there are more and more each year. These are cute ideas! I love the balloon theme! I’ve not seen it yet and it’s so cute.